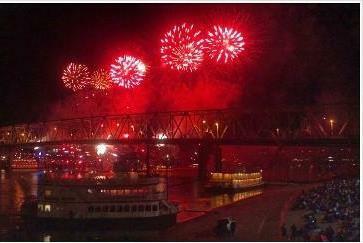 Past Western-Southern/WEBN-FM Riverfest fireworks over the Ohio River. For a third consecutive year, WKRC-TV will broadcast the Western & Southern/WEBN-FM Riverfest fireworks at 9 p.m. on Sunday, Sept. 2. After a one-year absence from television, WKRC-TV (Channel 12) stepped up to air the annual last blast of summer in 2016. Jon Lawhead, the Cincinnati/Dayton group manager for the Sinclair Broadcast Group, confirmed today that Channel 12 will air the fireworks again this year. D.J. 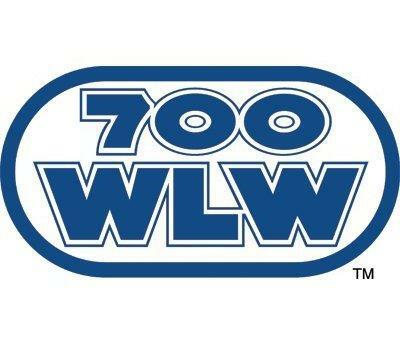 Hodge, Cincinnati market manager for iHeartMedia (including WEBN-FM and WLW-AM), said an announcement about the TV partner will be coming "in a few days." He did not name the TV station. 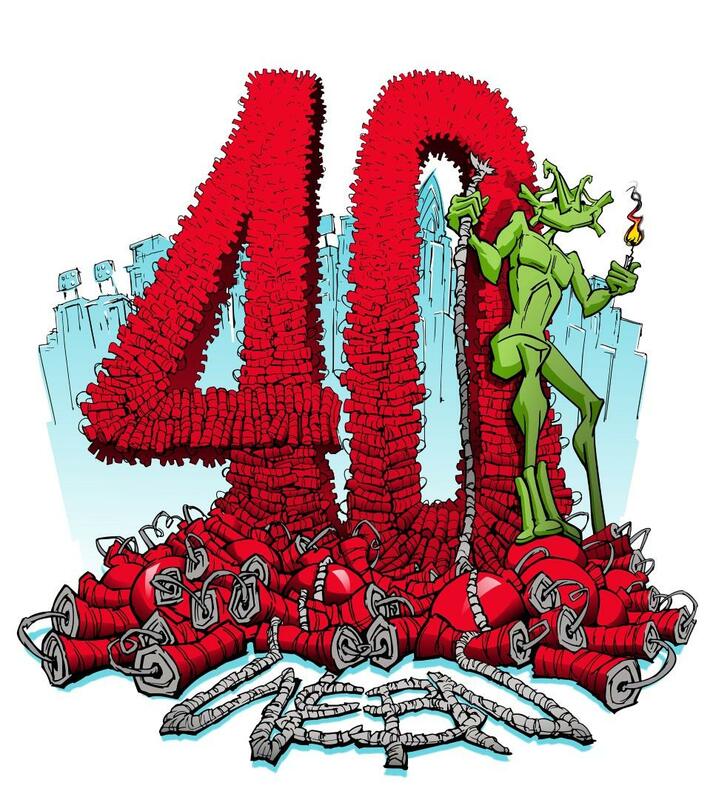 Logo for the 40th WEBN-FM fireworks in 2016. Until 2015, telecasting WEBN-FM's Riverfest fireworks was a Cincinnati tradition for 31 consecutive years on one of the four main Cincinnati stations, WKRC-TV, WXIX-TV, WCPO-TV or WLWT-TV. The first was in 1984 on WXIX-TV. It is always the highest-rated TV broadcast of the night here, and one of the biggest TV audiences for a local program every year. Viewers were not happy when they did not air in 2015, after WXIX-TV didn't renew its contract with WEBN-FM. Riverfest starts at noon Sunday, Sept. 2, at Sawyer Point, according to the CincinnatiUSA website. WEBN-FM has not updated its "Fireworks FAQ" from a year ago on its website. WEBN-FM's first fireworks show was on Tuesday, Aug. 30, 1977 – yes, a Tuesday! – to celebrate the station's 10th birthday. The huge crowd prompted the city to create the end-of-summer Riverfest party ending with Rozzi's Famous Fireworks. WEBN-FM was started in August 1967 by Cincinnati attorney Frank Wood Sr. The station promoted its 2016 show as the 40th consecutive fireworks, and celebrated the 40th anniversary last year. I'll post more details when they are available. And this one belongs to The Big One!, even though WLW-AM doesn't call itself "The Big One" any more. 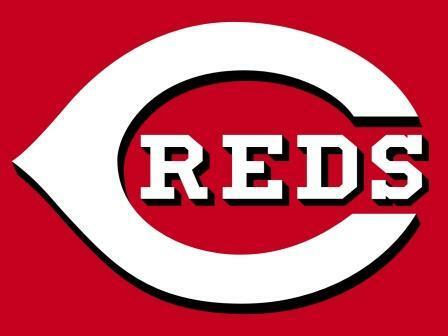 Phil Castellini, Reds chief operating officer, announced on WLW-AM's Bill Cunningham show Wednesday a five-year renewal of the team's radio rights through 2022. 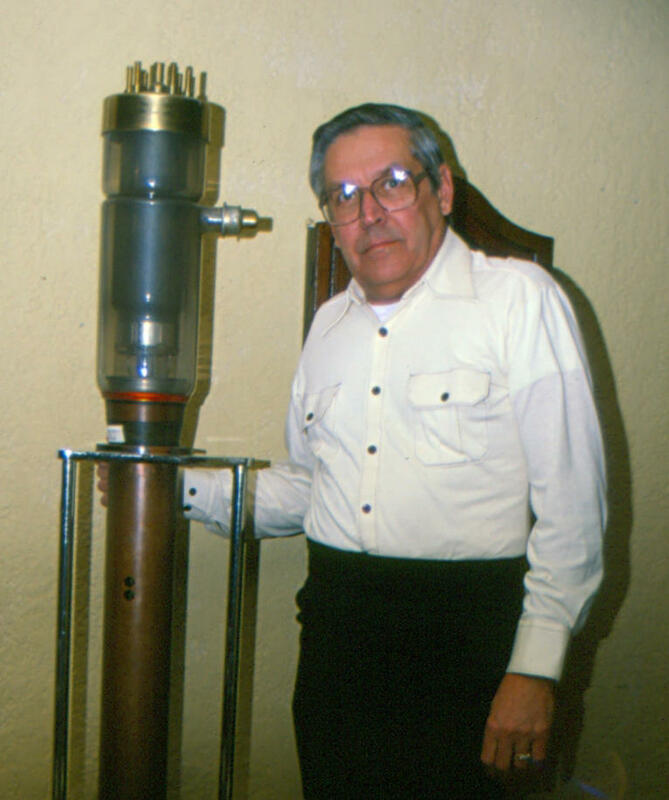 The eyes of broadcast engineer Clyde Haehnle always glowed like an old radio tube when he talked about the Voice of America complex on Tylersville Road or WLW-AM's unprecedented 500,000-watt transmitter under WLW's tower down the road. When TV stations would unveil a new anchor set after spending hundreds of thousands of dollars, station managers would ask me how I liked it. Frankly, I didn't care.